The Mill Creek MetroParks had a children’s book festival today. At “Plant the Seed to Read” there were many books, characters, and activities for children. The gallery at the center featured artwork and poems about the Fellows Riverside Garden by local school children that had been made into a book. 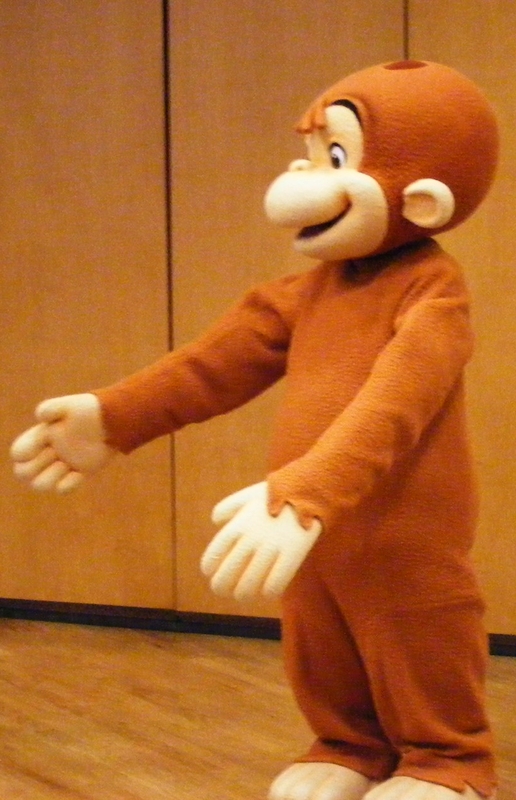 However, my favorite thing (Sorry Thing 1), was Curious George. Curious George is a lifelong learner who isn’t afraid to try anything. He also believes everyone in the world is a friend. I like Curious George’s worldview. If the world is a place to play and everyone is a friend, then many good things can happen. This entry was posted in Photo Album, teaching and tagged curious george, Fellows Riverside Gardens, learning, Mill Creek MetroParks, OH, read, Youngstown. Bookmark the permalink.